Sending an automatic lesson reminder to students and their parents before their lesson can be an effective way to reduce no-shows. If the lesson time is no longer convenient, clients can easily follow up with you to reschedule. 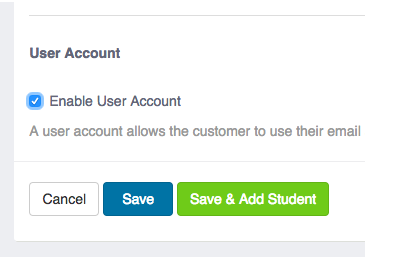 On your account settings page, you can customize the “Lesson Reminder Lead Time in Hours” setting. This setting will determine how long in advance clients and employees will receive a lesson reminder email. Each type of recipient (students, families and employees) will receive a different type of email, making it possible to tailor the message to each recipient group. You can fully customize the templates for each group by going to Account & Settings > Notification Templates > Lesson Reminder Templates. Each template has a unique set of merge tags that can be added to the template to further personalize it. When emails are sent, the merge tags are replaced by real data from your Teachworks account. Lesson reminder emails are enabled for each user separately. To enable lesson reminder emails, edit their profile, scroll to the “Lesson Notifications” section and select the “Enable Lesson Reminders” option. Note: To make sure that the template is completed correctly, you may want to first do a test with 1 or 2 client or employee records. Need more information? Visit our knowledge base! In addition to automatic reminder emails, we also have a manual lesson reminder feature (manual reminders use the same template as automatic lesson reminders). If you have clients that forget about their lessons on a regular basis, you may want to use this feature to send additional reminder emails to give them ample time to follow up with you (prior to their lesson) if there’s a scheduling clash. To enable the option, go to your account settings page and scroll to the “Calendar & Event Settings” section. Here you can enable the “Manual Lesson Reminders” setting. 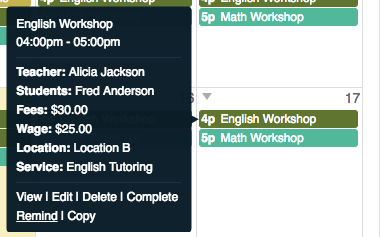 Once you’ve enabled the option, you can click on an upcoming lesson in the calendar. You will now see a “Remind” link — simply click on the link to choose the relevant recipients and fire off a reminder email. Text messages generally boast higher open rates than email, making it great for limiting no-shows. To enable this add-on, go to Account & Settings > Integrations & Add-Ons > SMS Lesson Reminders > Enable and click on the “Manage” link to customize your preferences. 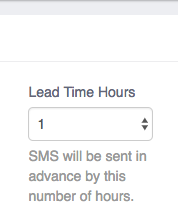 You can set “Lead Time Hours” for teachers, students and families separately. This setting controls the number of hours prior to a lesson an SMS is sent. Templates are fully customizable and you can further personalize each message using one of the merge tags on the right of the page. As with lesson reminder emails, lesson reminder SMS messages need to be enabled for each user separately on their profile. A note about additional costs: To send SMS messages to clients and employees, you will need to purchase SMS credits. SMS prices depend on the country of the recipient and you can view the price by country by going to the Integrations & Add-ons page, finding the SMS Lesson Reminders section, and clicking on the “Buy Credits” link. On the Buy Credits page select the country in the “View SMS Rates by Country” menu to view the prices. 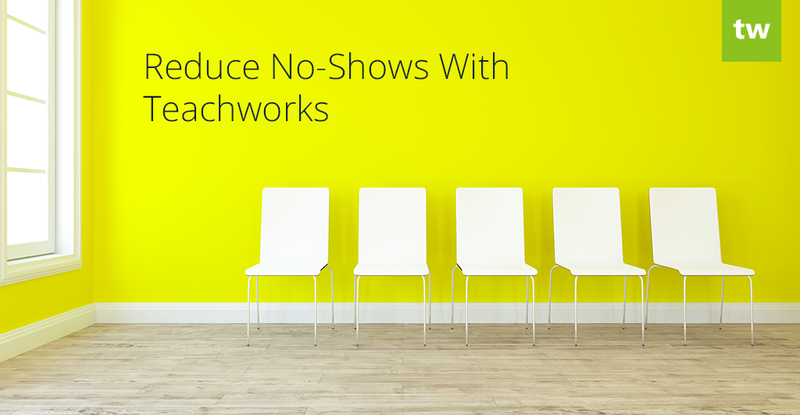 Another effective way to reduce no-shows is to provide your clients with unrestricted access to their schedules. Teachworks allows you to easily enable user access for your clients, allowing them to login, manage their schedules, and follow up with you well in advance if they won’t be able to attend an upcoming lesson. 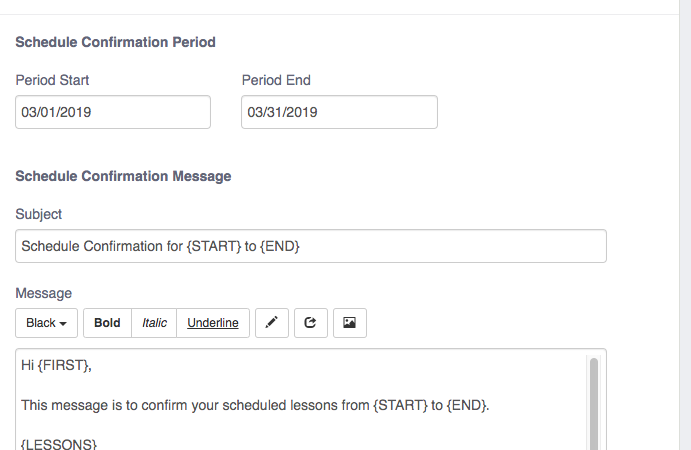 This feature allows you to send your clients a personalized email with a snapshot of all of their scheduled lessons for a selected period of time. Clients can refer back to the email to easily confirm their lesson details and iron out any scheduling conflicts well in advance. Once you’ve enabled the Schedule Confirmation Add-On, you’ll be able to access it from the Email tab. On the “Send Confirmation” page, you can select the relevant recipients, choose a “Schedule Confirmation Period” and customize the message.